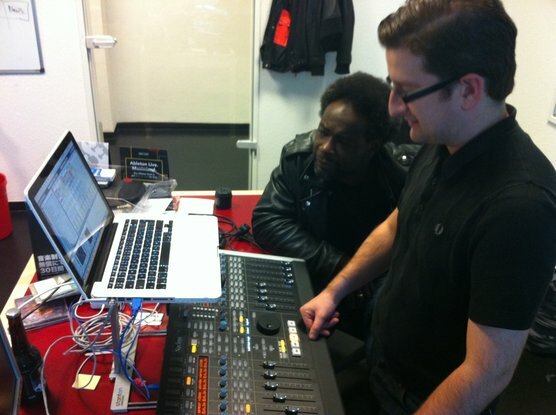 We're longtime fans of Solid State Logic - a top-of-the-line name for mixing desks, interfaces and other audio hardware. We're therefore pleased to announce a new Ableton Live template from our friends at SSL, for their Nucleus control console. This new template tightly connects the feature sets of both the Nucleus and Ableton Live. Live's unique and dynamic workflow is brought to life through the Nucleus' tactile work surface, and is complimented by the console's high-end audio interface - featuring the same Superanalogue technology as found in the company's flagship Duality and AWS consoles. In other words? Bring a laptop with Ableton Live to any studio with an SSL rig (you'll find them in the best ones out there), and you're good to go.